Whether you’re looking for inspiration for fighting an unjust government, evidence for climate change, or a role model for living a more deliberate life, all those roads can lead to Henry David Thoreau, born 200 years ago on July 12. Born in Concord, Thoreau had Merrimack Valley ties, living several years in Chelmsford as a child, and penning “A Week on the Concord and Merrimack Rivers” in 1849. During Thoreau’s 19th-century life, lived during times often considered simpler, Concord’s famous abolitionist felt at odds with a country that permitted slavery, warred with Mexico, and passed bills like the Fugitive Slave Act. Thoreau lived his words, and was briefly jailed for refusing to pay taxes that would support a war that threatened to send slavery into Mexico. Thoreau appeals to today’s environmentalists too. “He was the father of the American Conservation Movement.” Explains Kathi Anderson, Executive Director of the Walden Woods Project. 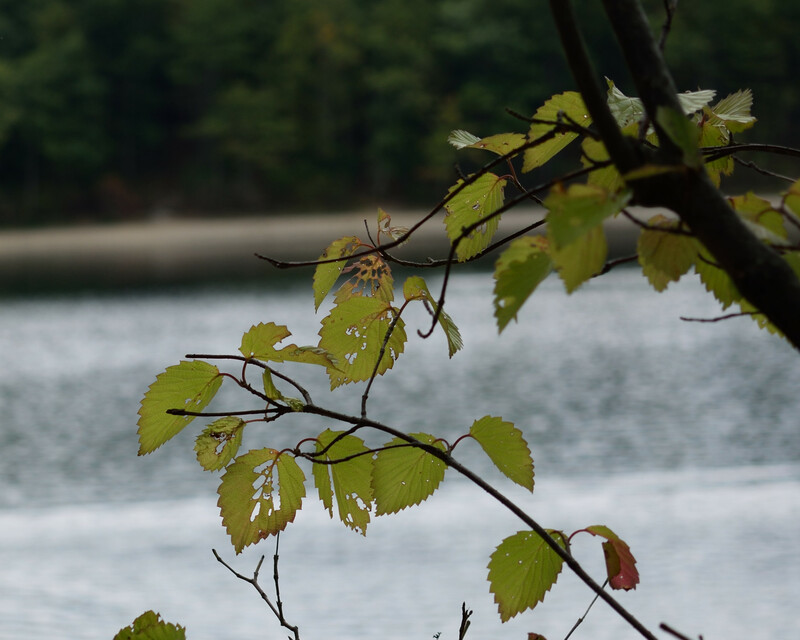 “Thoreau contributes 150 years later, to climate change study.” During the 1850s, Thoreau recorded Concord’s first sightings of migratory birds, leaves, flowers, and the melting of the ice on Walden Pond. Generations later, BU biologist Richard Primack compares those notes to his own observations. Since Thoreau’s time, Concord’s average temperature has increased 5°F. (If that were to happen again, we’d be getting Baltimore’s weather in 2177.) Through Primack’s research using Thoreau’s data, we’re learning that ice melts and plants bloom two weeks earlier than in the mid-19th century. Thoreau lived less than 45 years, but he wore many hats. He shunned the lives lived by fellow Harvard students. He taught school in Concord, opened another school with his brother, tutored, edited, and even gardened. For two weeks in 1839, he and his brother travelled the Concord and Merrimack Rivers and the Middlesex Canal, pondering changes wrought on New England by the Industrial Revolution – reflections that found their way into A Week, one of the earliest, most important books written about the Merrimack Valley. Soon after, Thoreau, at 28, began his two-year experiment at Walden Pond, which came to define him, perhaps more than his myriad writings. He lived on land owned by Ralph Waldo Emerson, who had helped Thoreau get published in 1840. At Walden Pond, Thoreau sought purpose; he absorbed the land’s teachings. He lived authentically. Thoreau reflected on Walden Pond, its quality, clarity, color, and temperature. He wrote of the pond’s flora, fauna, and geology. “Thoreau wasn’t a hermit who lived in the woods and hated society. He gave lectures. He used the best method of his time to get his word out – publishing.” Anderson relates. After Walden Pond, Thoreau finished Walden, publishing it in 1854 to little fanfare. A prolific writer, Thoreau wrote many books, essays, poems, and spent much time philosophizing. Today, Thoreau remains a model of living simply, in alignment with nature, and might best be remembered for Walden, which became his immortal masterpiece. The 200th anniversary of Thoreau’s birth provides a unique opportunity to connect with the man. In Concord, at the epicenter of his world, we’re well within the year-long activities commemorating his birth. Over a dozen Concord-area organizations are coming together to commemorate this bicentennial year. Events range from the year-long Thoreau Bicentennial State Read to performances by Thoreau interpreters, to a birthday celebration at Thoreau Farm, Thoreau’s birthplace on Concord’s Virginia Road, which is expected to draw some 200 people, according to Carroll-Bergman. Today, writers can reserve time at Thoreau Farm (in the very room where Thoreau was born) and write at a replica of Thoreau's desk. The United States Postal Service’s new Thoreau stamp, commemorating his birth, is based on a famous 1856 daguerreotype. The stamp also features Thoreau’s signature of his last name, and a branch of sumac leaves. The First-Day-of-Issue dedication ceremony in May drew officials from state offices and agencies, as well as representatives from the Town of Concord and the Walden Woods Project. Thoreau’s personal example of life lived deliberately, simply, his critiques of materialism, and the questions he asks about our place in the natural world inspire today’s generations, just as they inspired our parents and grandparents. A Massachusetts native, he knew the Merrimack Valley of the 19th century and lamented many of the changes we now value as elements of our industrial history.